We’d like to thank the community for making our 5Point Film collaboration such a rousing success! The films were spectacular, the company great, and the cause more than worthy. We were able to raise $6,263 for The Buddy Program who make such a lasting impact for the youth of the Roaring Fork Valley. We were honored to host Lindsay Lofarro and John Brasier from The Buddy Program, and we got the inside scoop on the LEAD program from Alondra and Spencer. It was incredible to hear (and witness) what opportunities The Buddy Program has made available to our valley’s youth. And THANK YOU RFV for the amazing time! John Brasier discussing the LEAD program. Thanks so much to everyone who came out and supported our 2nd annual Give Back to the Valley Day! On October 20th, 2018 we donated all our profits for the day to three amazing Roaring Fork Valley non-profits who work to protect, educate, and inspire our community! This year’s beneficiaries included Aspen Center for Environmental Studies, Ascendigo Autism Services, and 5Point Adventure Film Festival. Through the generous support of our community and our vendors, we were able to give nearly $12,000 to these three fantastic organizations! 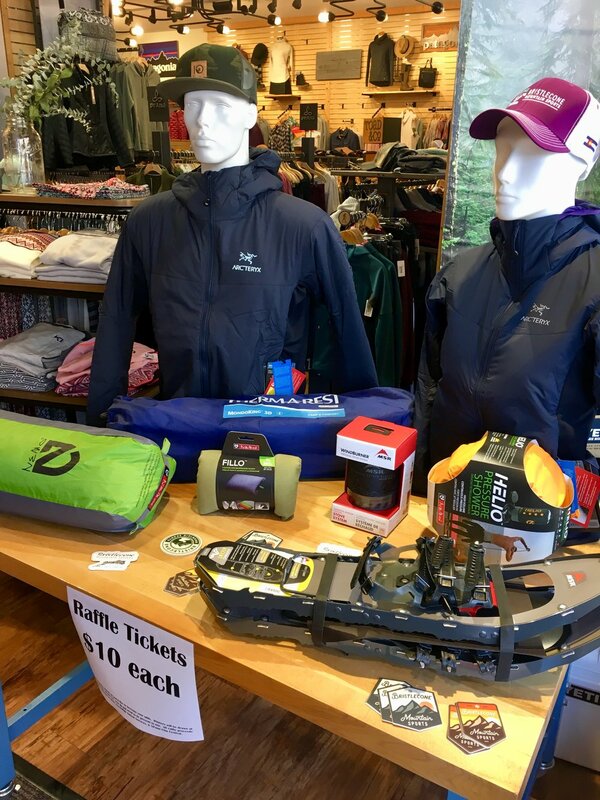 Huge thank yous go out to all our vendors who generously supported this event including Patagonia, Arc’teryx, Tentree, Nemo Equipment, Thermarest, and MSR! We can’t wait to do it again next year! Our first ever Ladies Night at Bristlecone was a huge success! 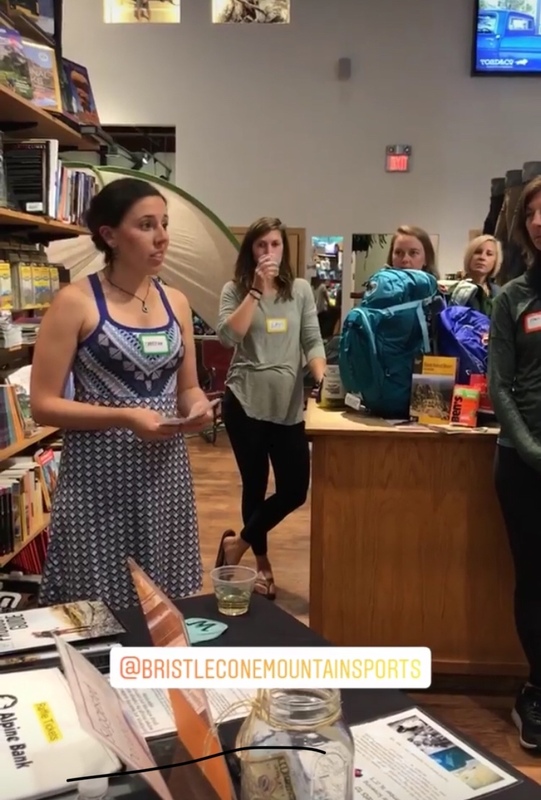 It was great to be able to bring together such an awesome group of ladies to talk about women's empowerment in the outdoors, raise some money for an awesome cause, and also to get to meet other women that want to get outside and adventure! We were lucky enough to have four incredible women speak about their personal experiences in leadership roles in the backcountry and the outdoor industry including our Osprey Rep Leta Kalfas, Jordie Karlinski of Leave the Boys Behind, Sarah MacGregor of Glenwood Climbing Guides, and Aisha Weinhold of No Man's Land Film Festival. 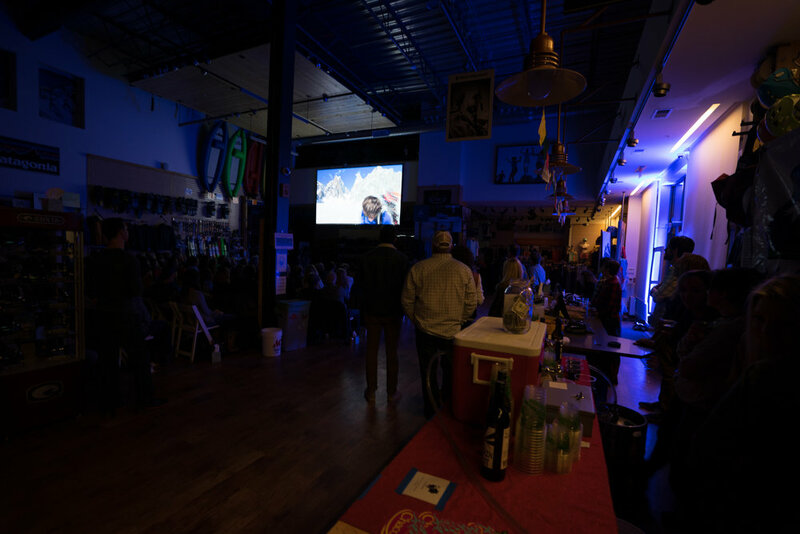 We sipped wine and enjoyed appetizers generously donated from Mezzaluna and Whole Foods while we raffled off some amazing prizes, learned about pack fitting, and enjoyed exclusive deals on Osprey Packs. 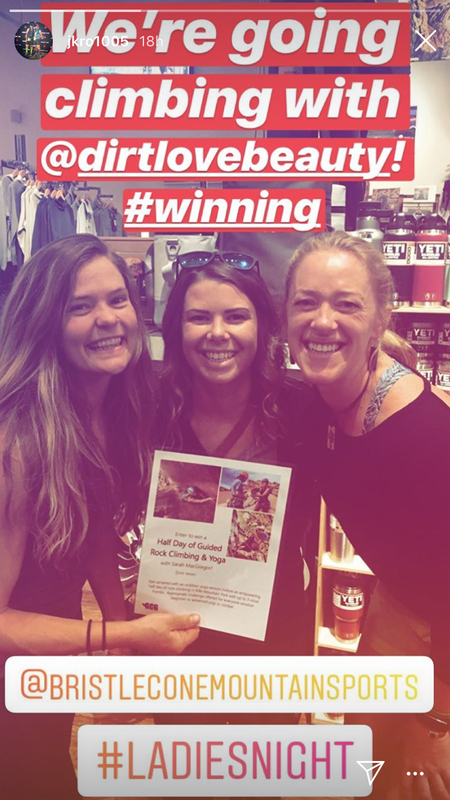 On top of all that, we were able to raise money for Women's Wilderness which is a great organization that works to get women and girls, often those from underserved communities, to gain courage, confidence and leadership skills through outdoor adventures and courses. Thank you to everyone who came out and to everyone who helped make this night such a fun success! 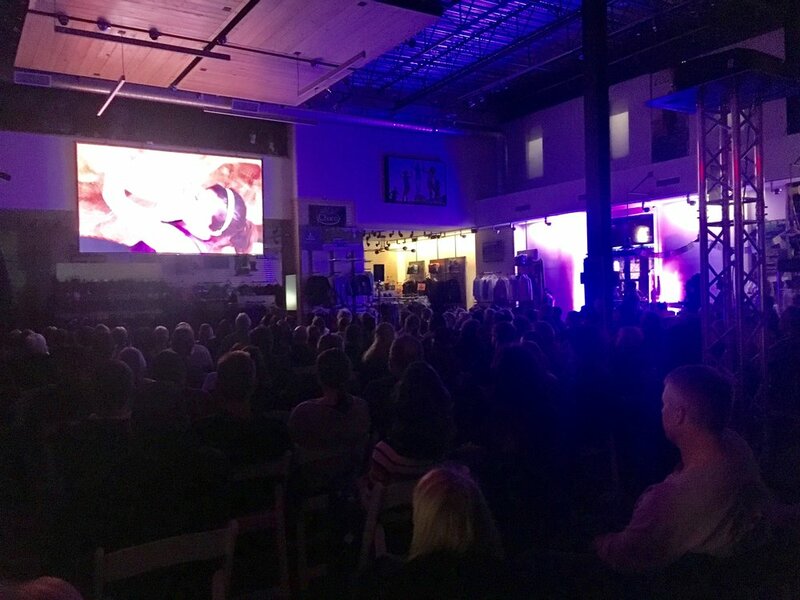 We had a great time showing fly fishing films from the Orvis Down the Hatch reel, as well as a local film by Riley Padgett and Maeve Cassetty titled "Portraits of Hope" and we were able to raise just over $8000 for the Roaring Fork Conservancy! Thank you to everyone who came out and to all of our event sponsors including: Orvis, Trout Unlimitted Ferdinand-Hayden Chapter 008, Proudline Guided Fly Fishing, Oskar Blues Brewery, Four Dogs Fine Wine & Spirits, Elevate Dental Wellness, Harcourt Fly Fishing 3G, Taylor Creek Fly Shop, Roaring Fork Anglers, Crystal Fly Shop, Bethel Party Rentals, Kuhl, and more! In celebration of the 2nd annual Colorado Public Lands Day, we partnered with Wilderness Workshop on a Hike and Happy Hour event! Wilderness Workshop led the hike up the Arbaney Kittle Trail in Basalt, and were joined by many members of the community as well as a few Rangers from the local Aspen-Sopris Ranger District! After the hike, we convened at Capitol Creek Brewery for Happy Hour, celebration, and a few words from John Charters, and Will Roush on public lands and conservation. We understand that public lands are vital for our community, humanity, sanity, and economy, and for this we strive to support education, advocacy, and stewardship around our public lands. 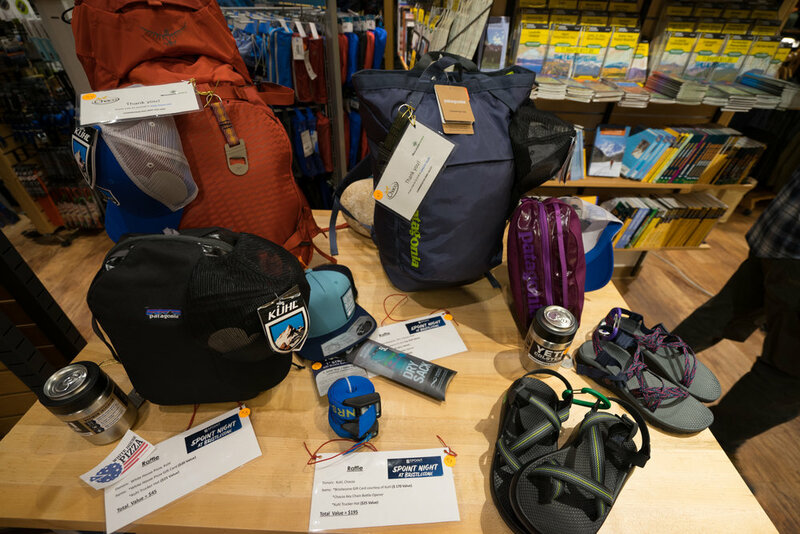 As an outdoor retail store, Bristlecone is in the unique position to often be the sole point of contact for backcountry users before they head out, and because of this we feel that it is important to educate customers not only on the gear they are purchasing, but also on the importance of environmental stewardship and backcountry ethics so that we can all continue to safely and responsibly enjoy our public lands for years to come. Big thanks to everyone who came out and made the event a huge success! Thank you to everyone who contributed in one way or another! 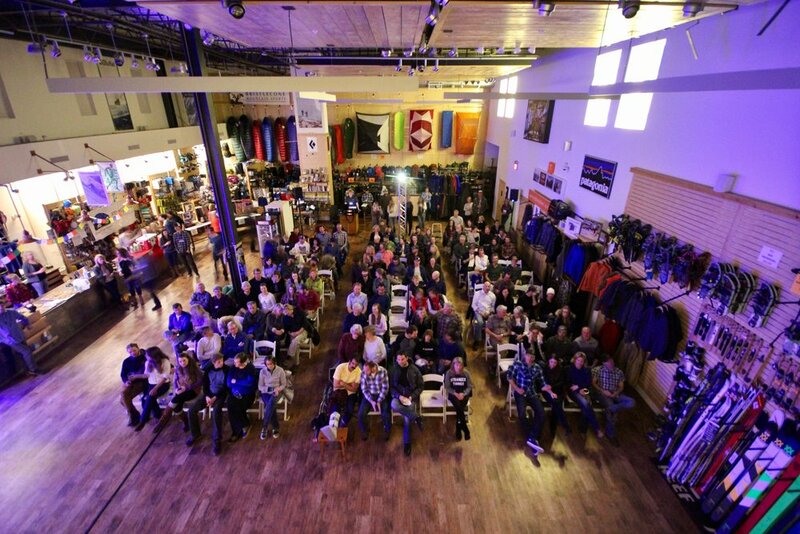 5Point Film Festival, Amore Realty, Colorado Audio Visual, Bethel Party Rentals, Wilderness Workshop, Capitol Creek Brewery, El Jebeverage, Whole Foods, Gwyn's High Alpine, White House Pizza, Allegria Restaurant, Carbondale Clay Center, Heidi Hat, The Enormocast, Patagonia, Outdoor Research, Chacos, Kuhl, Osprey Packs, YETI, Dale Armstrong, David Clark (Photowekx), Shala Savaiano, Winter Van Alstine, and Julie and Michael Kennedy. 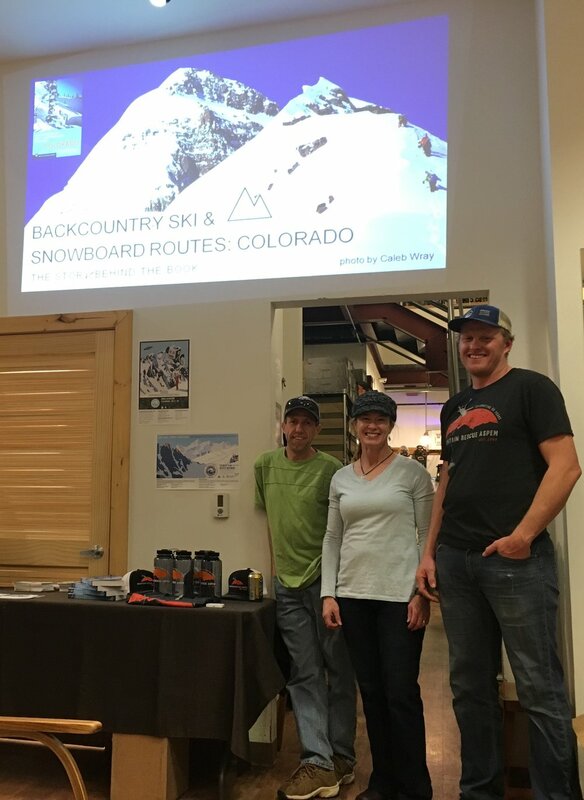 We had a great time with Brittany and Frank Konsella, the authors of the newest backcountry ski guide book for Colorado titled, "Backcountry Ski & Snowboard Routes: Colorado". We had a fun time hearing about their backcountry ski adventures while writing the book and discussed the importance of safety and avalanche education when skiing in the backcountry. Come check out their book, here at Bristlecone! We are thrilled to be able to support organizations that do so much to make our community thrive! Our Give Back to The Valley Day was a huge success and we were able to give away nearly $14,000 to five awesome local non profits! Here's to Huts for Vets, Independence Pass Foundation, Mountain Rescue Aspen, Roaring Fork Outdoor Volunteers, and Wilderness Workshop! Keep up the good work! Big thank yous go out to all the brands who supported this day and to everyone who came out! We can't wait to do it again next year!